Hill stations abound in scenic mountains reaching up to touch the clouds hovering above, which is a beautiful site to perceive in the horizon. This is exactly what we are offering. Enjoy our Hill Stations Tour Packages, which is a visual treat for your eyes as you behold the magnificent hills and mountain-tops from the balcony of your rooms. We provide a wide array of packages ranging from stays at beautiful locations in high altitudes, to sightseeing and river rafting in lagoons that have been drafted near mountains. Whether it is the hill station in Nainital, India or the serene and captivating mountains of Gangtok, capital of Sikkim, we have a range of places for you to choose. 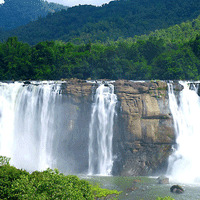 Honey Moon Packages With th..
Kumarakom, Kochi, Thekkady, Coimbatore, ..